I am loving WEFUNK Radio's Freakin' Da Funk "mixtape". Stream it from the link above, or download the mp3 for long term enjoyment! Everyone: post your workout music! Last edited by cheapo on Sat Apr 18, 2009 1:45 pm, edited 1 time in total. That's good WO music, but the mp3 doesn't seem to be downloadable. I'd have linked the download directly, but I think it might expire, or be randomized, or tied to your browsing session...or something. Well. Opening ones eyes does have its advantages. 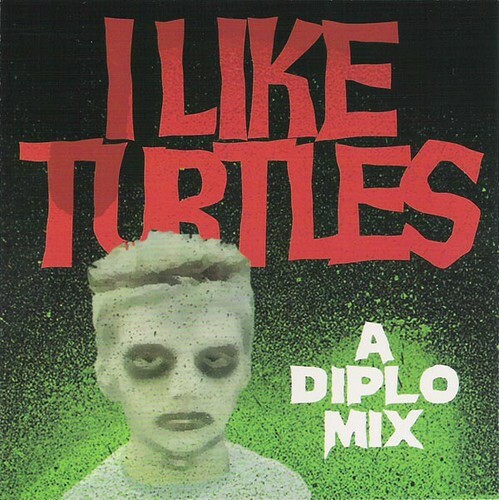 Diplo is one of today's biggest producer-remixers. He has worked extensively with M.I.A. and Santigold. This has been my favourite for 6 months or more. It has a great tempo for working out and awesome tracks from years back and just recently. His excellent podcast is available here. I rescind my recommendation of the DJ Dials mix posted above. I find the tempo too slow to accompany a workout and, overall, it's just annoying! Nice mix zorg! I like the techno mixed with hard rock. I have Timo Maas mixed with Led Zep and others. For those that have a similar taste in music (see my last post) I thought I'd pass along a new discovery: Disarmonia Mundi. Click the link for a sample: http://www.youtube.com/watch?v=ZzrpLRyX1Nc. Sorry, again no free links. Top of my list would the Brittny Spears, Boyzone, Celine Dion, etc. Then I can zone-out of the noise and focus-in more on my training, take shorter breaks, get it over with and then turn that sh*te off quicker and get on with something else!!!! Good fun. Available for download to boot!